I'd never tried a bb cream before, but they've been all the rage since forever in Asia and recently now in North America. BB (beauty balm) creams were originally developed for recovering cosmetic surgery patients, but now they're the HG of women everywhere. Moisturizing, protecting, and enhancing our skin, bb creams are a mix of sunscreen, moisturizer and foundation into 1 wonder tube. 3 steps of your daily beauty routine reduced - talk about magic! Since I don't like to wear a full face of foundation, I knew I wanted a bb cream that was more leaning towards the other 2 facets than for coverage. I was recommended to try the Enesti Multiple Water Drop by the SA at a now defunct Asian makeup store in Metrotown. Formulated as more of a tinted moisturizer, the Multiple Water Drop protects with SPF 27. The tint is a light beige color that melts into my MAC Studio Finish NC25 skin. I have to say I LOVE this cream! It's my first bb cream so I cannot speak to how it stacks up against others, but it fits my needs perfectly. The coverage is light, but just enough to even out the slight redness in my skin. It's also moisturizing enough for my normal skin such that my skin feels soft all day. I don't think this would be moisturizing enough for dry winters, but for a spring/summer lotion it's perfect. In 140 characters or less: Love it. Am hooked on bb creams now! 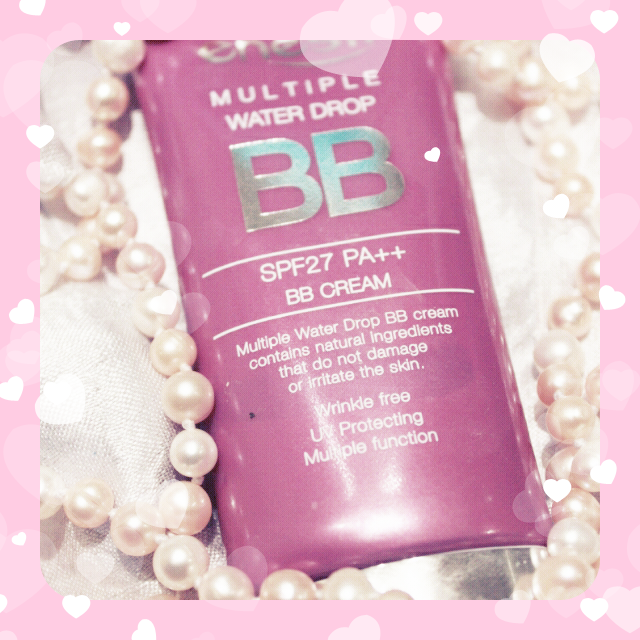 i didn't know it back then but i bought a bb cream mid-last year from shu uemura. i thought it was just a tinted spf and the lady who sold it to me didn't mention it was a bb cream. it's not bad; it's a foam so it spreads easily and gives a nice base for makeup.